April Cottage in Settle sleeps 2 people. April Cottage in Settle is tucked away in an elevated position in the thriving market town of Settle; this romantic cottage, built into the hillside in the ’Old Town’ with its beautiful narrow cobbled streets, has been carefully converted to retain original features such as exposed stonework, fireplaces and beams. Combined with all the comforts of modern day living, the original features have been carefully put together with coordinating soft furnishings and central heating to create a lovely home. Just 250 yards from the market square, you can simply park up and walk direct from the door. 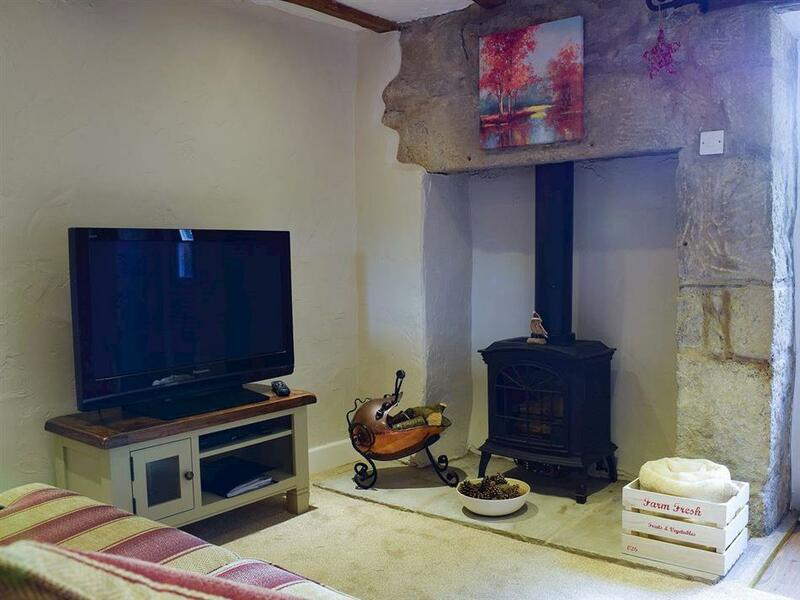 Pop into one of the local pubs or restaurants, or simply put your feet up and relax in this cosy cottage. The National Trust site of Malham Cove is a short drive away and there are many varied walks in the surrounding area. The Settle to Carlisle railway line takes you through stunning scenery, and if you are lucky, you may be able to catch a steam train. For those who like touring, the Yorkshire Dales and Trough of Bowland are within easy reach, and the Lake District can be reached within an hour. The shop, pub and restaurant are 250 yards from April Cottage in Settle. Ground Floor: Kitchen/dining room: With electric cooker, microwave, fridge/freezer, washer/dryer and beams. Living room: With ornamental wood burner in stone fireplace, Freeview TV, beams and stable door leading to stone flagged garden. First Floor: Bedroom: With zip and link super king-size bed (can be twin beds on request) and en-suite with shower cubicle and toilet. Gas central heating, electricity, bed linen and towels included. Enclosed stone flagged garden with garden furniture and barbeque. Outbuilding with bike storage. On road parking; additional car park within a short walk. No smoking. Holidays at April Cottage run from Friday to Friday. For a better idea of where April Cottage is, you can see April Cottage on the map below. 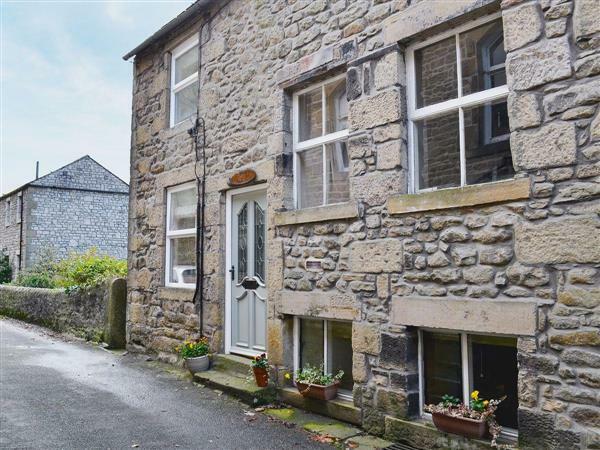 April Cottage is in North Yorkshire; should you be on the lookout for a special offer, you can find all the special offers in North Yorkshire. It's always worth checking to see what is on offer at the moment. Do you want to holiday near April Cottage (UK2152), you can see other cottages within 25 miles of April Cottage; have a look to find your perfect holiday location.